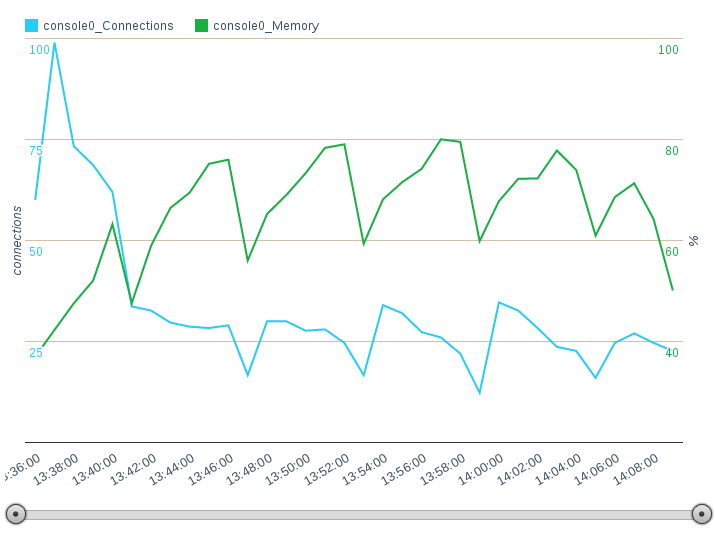 In the previous post I described how you can tune nginx to keep memory on your server. I'm joking... but it was just to introduce a tool you can use to make a good stress test with a result measurements. The standard in the opensource for this is Apache JMeter than you can download and install on your machine to register and execute the test. But, in this way, you don't have a really good test because server will always see a single user (same ip address) and can produce response using cached data. On the web you have a free LoadTest Platform, based on JMeter, you can use to make stress test to your wordpress: BlazeMaster. With the simple web interface you can setup your blog url, some pages/posts you want to visit, the number of concurrent users, the rump up period and the test duration. Then you just start your recorded test and you will get an email with the result link when the test will be finished. Memory compared with number of concurrent connections. 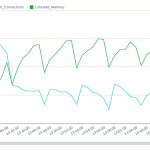 We can see that memory grow up every time I have an increase of simultaneous connections, which means, for what we saw, php-fpm need another child process to manage that number of connections. 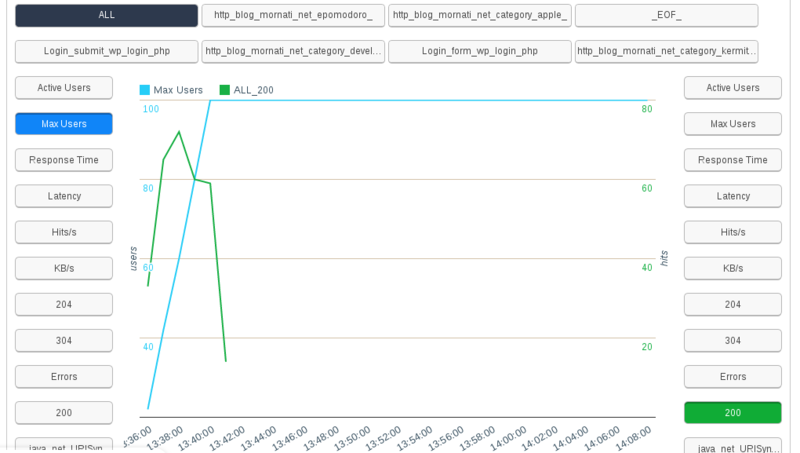 If you look in the graph I'm testing with users between 20 and 50 (simultaneous users !! ), so 4 child processes are enough for 50 concurrent users on a standard wordpress blog. This one is the OK response graph (200) compared to the number of connections. 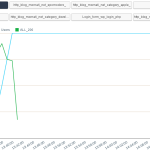 It shows that that server is OK until 60 users and then, with many other users making requests, responses decreases to 0: the server does not have time to respond to all the incoming requests. With 4 max child process in the php-fpm server, we can have at a given time 40 concurrent users, that surely slow down responses, but all of them receive the requested page! That's enough for my little blog!